Surly Brewing Co., the Twin Cities-based craft brewery has just arrived in the Quad Cities as part of its Invasion of Iowa. Now, two weeks since its launch in Iowa, the brewery is kicking off its community engagement program, Surly Gives A Damn (SGAD) in Iowa by bringing together Minnesota and Iowa craft beer fans in Davenport this weekend to help the city’s spring corridor cleanup. SGAD is Surly’s community engagement program. Since 2010, the brewery has enlisted local beer fans to help with service projects across Minnesota. In 2014, SGAD organized nearly 1,000 Surly fans to take part in 2,376 volunteer hours. 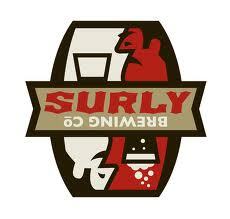 The program is now following Surly beer to Iowa. The first SGAD Iowa event will be this Saturday in Davenport, to help the city with their spring corridor cleanup. Surly is bringing 40 volunteers from both Iowa and Minnesota to take part. They will work together to help the city with its spring corridor cleanup, ensuring that unwanted garbage doesn’t make it into the local creeks, streams and waterways this spring and summer. The SGAD group will be cleaning from the LULAC Club, 4224 Ricker Hill/Blue Grass Rd and then making its way to Utah and Rockingham Rd. After the event, volunteers will come together to enjoy a Surly beer or two. Where: From the LULAC Club, 4224 Ricker Hill/Blue Grass Rd, Davenport, IA, and then making its way to Utah and Rockingham Rd, Davenport, IA. Surly has confirmed a number of events around the state this month, and will be posting more Iowa events throughout the months ahead. More information can be found at http://bit.ly/SurlyIowaEvents. SGAD will continue to organize and host volunteering events in Iowa, more information can be found at http://www.surlybrewing.com/surly-gives-a-damn.